East Midlands at the heart of Green Party’s 40th Year! As we wish one another a healthy, hopeful 2013 we can feel happy that the East Midlands is playing host to The Green Party Spring Conference in February. Our party has evolved over 40 years; one generation, through many changes locally, globally, regionally. Those of us here now form the torch-bearers of the next generation. From the 22nd to 25th February 2013 East Midlands Conference Centre, Nottingham becomes the hub of The Green Party of England and Wales. This gives local party members an opportunity to be at the very heart of the next stages of flourishing and sustaining. Attendees will collectively be involved in the progression of policies within the party. There will also be fringe and training sessions, special panels and birthday celebrations. Our neighbours in the West Midlands saw the seed of the Green Party planted in Coventry by Tony and Lesley Whittaker, Michael Benfield and Freda Sanders. Then called the ‘PEOPLE’ party it grew into The Ecology Party and ultimately The Green Party. During this time it has weathered many storms and influenced change. It has stayed true to core values. I extend an invitation to you to tell some of the stories of our last four decades, how lives and futures have been shaped, what we have faced and are facing. What are the greatest challenges ahead? What inspires you? What have you been part of? Is it the party’s stance on creation of green jobs and a living wage or their questioning of unjust wars? Is it continued work in building sustainable energy supplies and sharing economies or the contribution to animal rights that fire your loyalties? Has it been our call for better insulation in homes or empowering local producers? Is it the greater gender equality within the party that excites you or their stance against injustice in the present tax and banking systems? We have come far and have far to go! So, as we toast in 2013, we may remember to say ‘happy birthday Green Party, many happy returns!’ For more information on the conference and to book please follow this link: http://greenparty.org.uk/conference.html. Categories: Branch News, News & Views, Policies, Regional News | Tags: change, Hope, People party, policy, The Green Party Spring Conference 2013 | Permalink. We look forward to hearing your voice! Categories: Campaigns, News & Views, Policies, Regional News, Representatives, Uncategorized | Permalink. Something that has resonance with our region is the policy of the financial transaction tax, also called the Robin Hood tax. In Green Party’s fighting austerity and public service cuts they are for tax reform to avoid the farce of the richest of the rich and big corporations avoiding tax under both main parties and the coalition. This affects the most vulnerable, workers and small and medium sized businesses who do have to pay tax. It is not fair for people to have to bale out banks who have speculated widely and yet not have benefits passed on to them. Green Party propose the financial transaction (Robin Hood) tax on speculation in financial institutions so that risks taken are more calculated and the consequences of mistakes are absorbed more by those financial institutions than by tax payers who at present have the risks but very few of the benefits. For those moving away from the dilemma the UK has in place of democracy, Green Party values and policies make sense. I feel the Green Party is a party for equalists; for so many who believe in and want equality and fairness because it is a party that has these values at its core, not as a vote winning after thought. Women particularly have apparently become statistically less likely to become involved in mainstream politics, even to vote. The people supposedly representing them are nearly all white, middle class men. Women often have battles to be valued within their parties as well as in broader political spheres. It is different for Greens. A woman heads the Green Party. Our first Green MP is a woman. A fair proportion of our representatives in local and European politics are wonderful women as well as marvelous men. It is a party that supports and responds to women as much as men from a wide range of backgrounds. Our knowledgeable people and speakers come from so many areas of work and experience including teachers and educational professionals, ethical entrepreneurs and workers, scientists, people of many faiths and none in a collaborative society. Green policies are integrated, whole and relevant to people across social and economic spectrum. Our members are heard. So in this way we are part of bringing the relevant and the fair back into politics. Sometimes I hear a description of our party members as ‘just greens’, but that has two meanings. We’re Just Greens and this does not mean we’re only green, it means we are Greens for Justice! Categories: Just Inspiration, Policies, Uncategorized | Tags: economic policy, equality, Robin Hood, tax justice | Permalink. It is that time of lights in the darkness. There is a photo of me waving a Green Party banner saying ‘Go Solar Not Ballistic’ at a Stop the War March in London 2003. I am sleepless, recovering from flu and lit with determination. Luckily the photo is not digital so I can’t share it with you. It seemed the world was there; millions of people, every creed, every skin colour, every generation linked by values of fairness, justice, peace-seeking. To my mind the problem and the will to go to war was both a social and environmental problem. Human rights, dignity, honesty and the value of life were and are linked with how we guard the planet, share and manage resources. 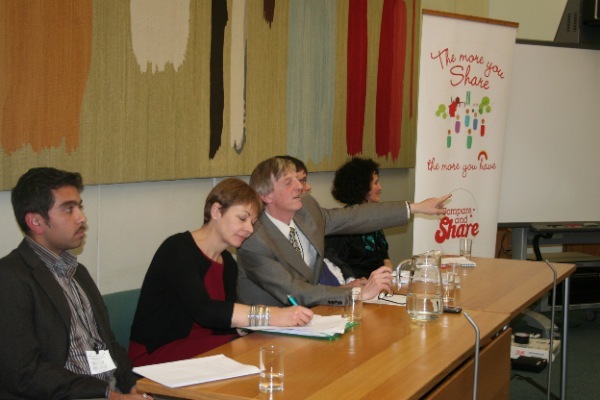 I recently attended a meeting hosted by Green MP, Caroline Lucas in the Houses of Parliament entitled ‘the sharing economy’. While there are those who say there is no alternative to the present system, we say that system is broken. Einstein said you cannot solve a problem with the same kind of thinking that created it. Green economic policies include fighting austerity measures and saying no to public service cuts, instead protecting the NHS and education, changing from minimum wage to a fair living wage and increasing jobs and investment in areas such as green technologies and transport. We believe money should be saved and created by cracking down on tax havens and tax dodging by the biggest corporations and the very richest people, amounting to billions of pounds, to cancel unnecessary road building, costing 3 billion a year, address the billions we spend on unjust and unnecessary wars and outmoded weapons, introduce better regulation of banks and other financial industries. To the Green Party the savings that can bolster our economy should be made, not by hitting the most vulnerable, but by looking at priorities and making lasting, value-based change. 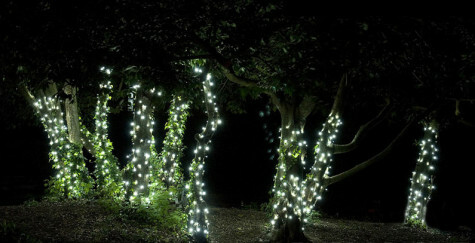 It is the time of year for so many festivals of light started across cultures, across times. A season of re-dedication to peace, friendship and light and the sense we are all branches of one world tree. This is seen in the lighting of candles, kisses under mistletoe lights of the Christmas tree and the branches of the Menorah at Chanukah and so many other traditions reaching back through eons. In part of my own tradition, there is a story that in first peace after a long war the lights were kindled from the only unspoiled olive oil they thought would not last but did for the time it took to make more. Now, in a time where lack is something many are increasingly concerned about, this meeting of social and environmental need again shows paths to solutions. Talk of responsible resource management, sharing economy and energy policy can seem abstract but they are real and workable in small and huge ways. 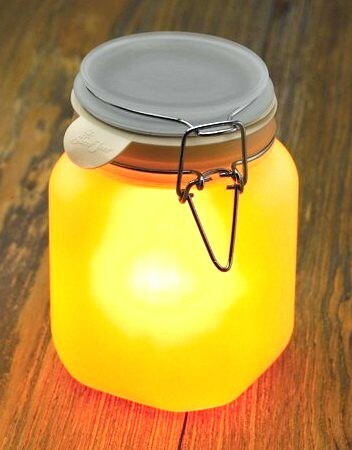 Solar powered sun-jars and fairy-lights add festive shine without depleting bank accounts or fossil fuels or adding to conflicts fueled by oil shortages. Fuel poverty is rising with depleting reserves of fossil fuels and rising prices. Food and living costs rise too with a fossil fuel focused energy policy and the economy suffers. The Green Party policies are decrease demand for from non-renewable fossil fuels and to make energy generation more local, with more local control, less wastage and increasing efficiency. Renewable energies work best in localised systems where it is more efficient, can come from combined sources – hydro, wind, solar etc and gives more power to communities and individuals. Natural resource use, energy and economic policy meet illustrated by sunjar and solar fairy lights. Categories: Just Inspiration, News & Views, Policies, Uncategorized | Tags: Caroline Lucas MP, economic justice, economic policy, Energy policy, Hope, renewable energy, solar, Westminster | Permalink.